Diversity is differences between human beings all around the world. Every person is different in their own way. Some may look different, many may act different, but in a social society there could be hundreds of differences. One part of diversity is discrimination. Discrimination is a way to tease other beings by their appearances, cultures/religion, routines etc. Everyone should celebrate diversity because that would show that we appreciate their cultures and religions. 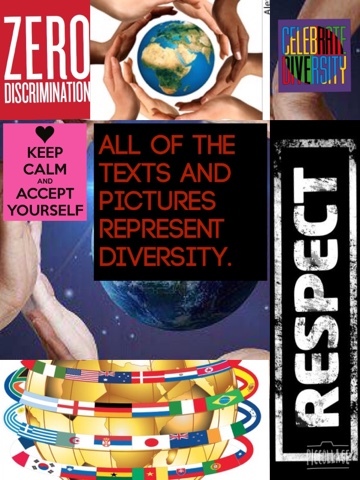 Respecting others is a very important value as well in diversity because we all need to accept each others' differences. Another part of diversity is culture, because that is one of the big differences that everyone has. Now you know about diversity you should understand it better.